I don’t often get much Power Metal sent in for review, despite it being one of my favourite genres. As such I tend to review it for other sites rather than mine. With that, it’s nice to have been sent this release by Twilight Messenger! The band is a project comprising of two YouTube artists, Andrew Feehan and Juan “The Beast” Rodriguez from the UK and US respectively, and The World Below is the album that resulted from their collaboration with the addition of Chris Johnson on drums. 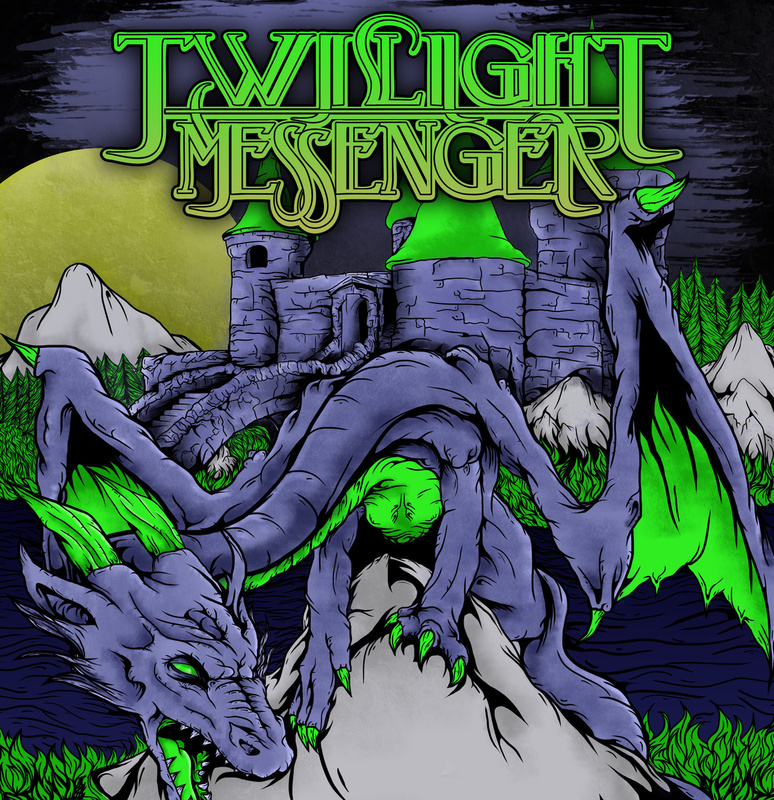 The album opens up with the moody synth sounds of the track Twilight Messenger. The song takes a heavier turn and when the vocals come in I am instantly reminded of Rob Halford, but way more aggressive in approach, with a bit more of a raspy delivery (not in a bad way, it’s definitely something a bit different on offer for power metal here.) The playing is fast and furious, with plenty of chugging guitars yet also some great melodies from both synths and guitars to counter this. The chorus here is pretty cool, with an impressive range and sense of harmony on display. Sword And Steel (By My Axe The Beast Shall Fall) offers a much heavier outing than the previous track, with some really deep and meaty guitars meeting with a vocal that feels a bit angrier and more determined here. There are still some great melodies on offer despite this being a somewhat heavier song, and it delivers plenty of great moments over the course of 5 minutes or so. The Archer, The Battlefield & The Silhouette is a track that really took me by surprise. Its restrained clean guitars and rhythm section support an awesome emotive vocal performance that has a completely different feel from the heavier voice that is then displayed later on in the track. This shows just how versatile this singer is which was really appreciated actually. The rest of the track is also awesome, with a really powerful chorus, some great melodies and well thought out structuring making this one of my highlights of the album. The World Below has plenty on offer actually, from the super heaviness of tracks like Fireball which has some of the harshest vocal delivery I’ve heard in a power metal release bordering on more extreme metal with some very heavy guitar playing, to more sombre tracks like Embers Of A New Day with deep vocals and nice clean guitars before giving us a really powerful and heavy chorus. Title track The World Below is another that really caught me, with a really powerful build-up and some more interesting vocals. The singing actually reminds me in places of David Bowie, strange though it may sound, but with a bit more of a metal timbre. The songwriting here is really powerful too, with big chords, mighty solos and some awesome drumming making this song really moving. There are two really epic tracks back to back with each other, By Wings Of Destiny and Redemption (Rise Of The Golden Dragon) and they both offer a different perspective on writing those longer tracks. Both are well done, with lots of different movements throughout. These tracks shouldn’t be overlooked just because they’re close to the end of the album, as they offer some of the best moments of the album, with epic symphonic moments contrasted by some really heavy riffage! The album ends on Lord Of The Dragons, a track that contrasts the last two by being less than half the length! This song is pretty cool, with some interesting sounds and a kind of doomy intro before slamming into a hefty main riff that has some blistering speed to it. The production is pretty good here. It sounds a little digital in places but the vocals and drums sound the best here, as do the clean guitar moments. Not that the heavy guitars sound bad at all really, but at times they sound a little over saturated. This is mainly a personal taste thing though really! The bass is mainly a support to the overall sound here, so no particularly flashy bass playing but it is done well. The World Below is a really strong album, especially for a relatively new band that doesn’t seem to have the biggest following just yet. They have really well thought out songs, great melodies, powerful choruses and strong musicianship. 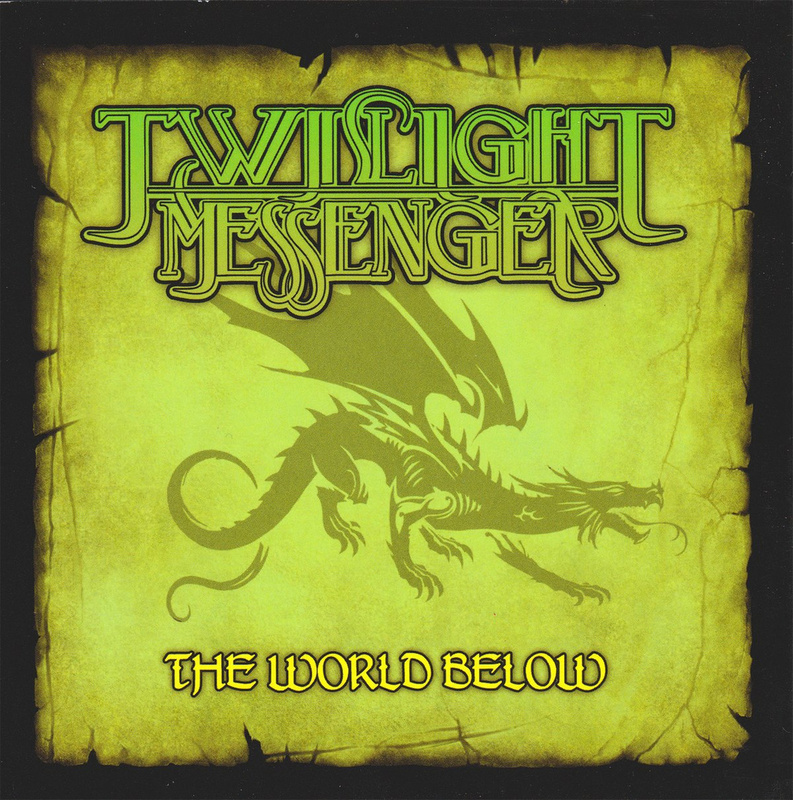 With this album, Twilight Messenger offers a more dynamic sound than many bigger power metal artists on the scene today.